My post yesterday on design leadership attracted considerable positive interest, which was encouraging. However, I was aware that my developing ideas on design leadership required a more robust theoretical foundation. My friend and colleague Karen Yair suggested Richard Sennett. Great idea; I had not made the connection. Rather than rewrite the previous post, I now present this as a coda. Antonio Stradivari was the Steve Jobs of his age: a hectoring obsessive, who ruled his Cremona violin workshop with a ruthless vision of perfectionism. The craftsmen he employed were chained to their work benches. No, they really were. When not crafting the finest violins and cellos the world has ever seen, the apprentices would sleep on bags of straw under their bench. It is a model of design leadership that many have emulated since. But you do wonder why they bother. When the 93 year old Stradivari died in 1737, the quality of his workshop’s musical instruments died with him. Despite the best efforts of his sons and master craftsmen to maintain the preeminent quality and reputation of the Stradivari name, the instruments they turned out were not a patch on those that had preceded them. Great efforts were made to analyse the pattern of the original instruments, the materials, even the precise formulation of the varnish, in a vain attempt to create a design template that could replicate his original genius. But these efforts fell flat, in every sense of the word. “There is an inherent inequality of knowledge and skill between expert and nonexpert. Antisocial expertise emphasizes the sheer fact of invidious comparison. One obvious consequence of emphasizing inequality is the humiliation and resentment this expert can arouse in others; a more subtle consequence is to make the expert himself or herself feel embattled” (p. 249). It is of course precisely this form of expertise that the UK’s Research Excellence Framework is seeking to encourage. This is precisely the model of design leadership relevant for our age – an age of open design, ever-evolving collaborative partnerships between creative microbusinesses, social design, user-centredness, knowledge transfer, empowerment and inclusivity. Let me pull out three key arguments in favour of this as a far more useful and usable model of design leadership than the others on offer. First, the rise of open design and innovation, linked to technologies that provide ‘consumers’ with potential to become creative ‘prosumers’ requires that designers need to shift to encouraging more creative and designerly self-reliance in others. 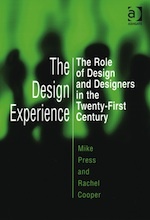 I have written about this in my chapter for the Handbook of Design Management and say “the design manager is therefore critically the manager of the interfaces with the wider community of co-designers”. Charles Leadbeater, in Production by the Masses, argues that professionals (designers, for example) “should educate us towards self-help and self-reliance as much as possible. Modern society trains us to be workers and consumers. Postindustrial institutions should train us for self-management and self-assessment” (p. 186). The design leader thus uses her or his social expertise to empower us as self-reliant prosumers. This would appear to describe much of the work undertaken by Taylor Haig, Snook, The Young Foundation and others. I am not wholly convinced that SIG (Special Interest Group) Niche Network trips off the tongue quite as well as my preferred Designers for Social Innovation, or even Social Designers but I will let history be the judge here. The design leader as social expert is clearly essential for such work. The first thing Design does well is rendering issues as something that other people can experience. The second thing Design expertise does well is creating artefacts around which people can gather to interpret and discuss the characteristics of a social issue. A third thing that is central to design expertise is staging an open-ended enquiry that actively avoids being closed down quickly in the form of a particular solution. A fourth aspect of Design is its role in making trouble and being open to the potentially disruptive side of creativity. A final part of contemporary Design expertise is opening up the conventions about who and what can be included in a design project. 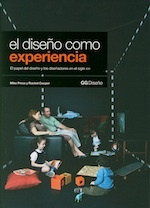 Again, this help us in defining the challenges and practices of a design leader as social expert working in this field. These three zones of new design practice – co-creative prosumption, design for public services, and the construction of social problems – will be critical for our future and design wholly new models of design leadership. He may have crafted damned fine fiddles, but I have my severe doubts that Antonio Stradivari would have been particularly good at facilitating workshops for co-designing new long-term care services for those with dementia. I may be wrong; he may have had more than one string to his bow. Tomorrow’s design leader is a resourceful social expert, who crafts change co-operatively. Here is a fascinating essay exploring ideas about sociable expertise being the very essence of craftsmanship. Ideas about craft and community, collaboration and innovation.